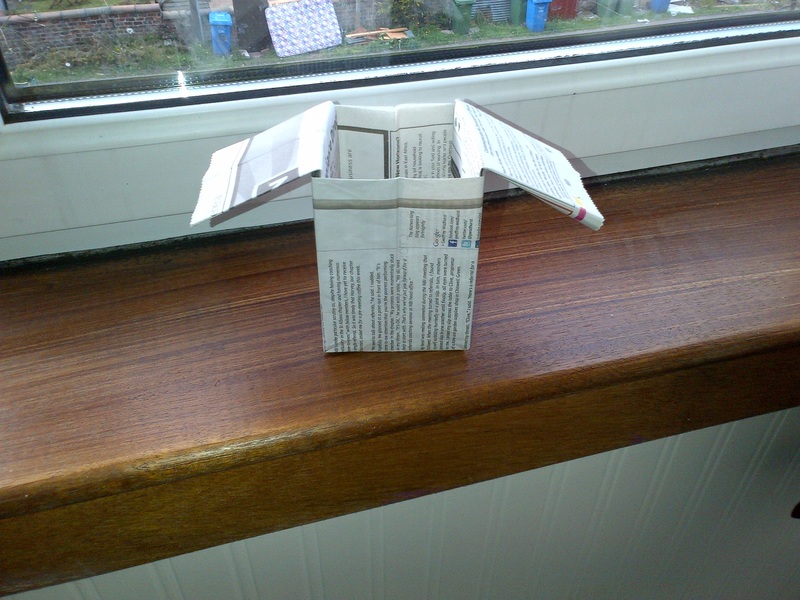 My origami skills have previously consisted of making fortune tellers when I was in primary school. Then I found out from Do The Green Thing that you can make seed pots out of newspaper – which is handy as I’ve run out of toilet roll inners. Now, to find more space on the balcony / windowsills / somewhere in this shady flat with a bit of sunshine.